Google has really outdone itself with this year's crop of April Fools pranks. 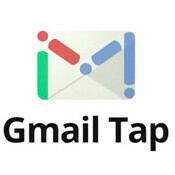 We already showed you the cream of the crop with 8-bit Google Maps, but Google also has a good one specifically for mobile with Gmail Tap. Apparently, keyboards and voice dictation are just not the best option for quick and easy text input on a mobile device so Google has enlisted the help of software engineer Reed Morse, relative of Morse Code inventor Samuel F. B. Morse (distant relative of course). Rather than having to use an unwieldy 26 keys on a QWERTY keyboard to tap out our messages, we just need two: a dot and a dash. As absurd as the idea may be, it certainly would make no-look messaging a bit easier, provided you could learn Morse Code of course. And, of course Morse Code is an international language, so this could have been made available worldwide right away. This gag product would have been made available to Android and iOS if it were real. Interesting that Windows Phone got left out of the joke. The last guy looks like LL.COOL.J......LOL.....that was great. - .... .. ... | .. ... | --. .-. . .- - | ... - --- .--. | .. | .... .- ...- . | -... . . -. | .-- .- .. - .. -. --. | ..-. --- .-. . ...- . .-. | - --- | ..- ... . | -- --- .-. ... . | -.-. --- -.. . | ... - --- .--. | -. --- | .-.. --- -. --. . .-. | .-- .. .-.. .-.. | .. | .... .- ...- . | - --- | .-- .- ... - . | - .. -- . | .-.. --- --- -.- .. -. --. | ..-. --- .-. | - .... . | .-.. . - - . .-. | --- -. | .- | -.- . -.-- -... --- .- .-. -.. | ... - --- .--. | .. | -.-. .- -. | -. --- .-- | ... .. -- .--. .-.. -.-- | .--. ..- ... .... | --- -. . | --- ..-. | - .-- --- | -... ..- - - --- -. ... | ... - --- .--. | .--- ..- ... - | - .... .. -. -.- | .... --- .-- | -- ..- -.-. .... | ..-. .- ... - . .-. | -.-. .... .- - | .-- .. .-.. .-.. | -... . -.-. --- -- . | ... - --- .--. | - .... .- -. -.- ... | --. --- --- --. .-.. . | ... - --- .--. Translation: THIS IS GREAT. I HAVE BEEN WAITING FOREVER TO USE MORSE CODE. NO LONGER WILL I HAVE TO WASTE TIME LOOKING FOR THE LETTER ON A KEYBOARD. I CAN NOW SIMPLY PUSH ONE OF TWO BUTTONS. JUST THINK HOW MUCH FASTER CHAT WILL BECOME. THANKS GOOGLE. next, apple releases iDot in iOS6 with the follow up in iOS7.. iDash, and then promptly sues google saying that iDot was in development first, and thus, they invented it. hahaha i love this stuff. Droid X Doug - Binary system is 1010101010101010101, not dot and dashes!